Everyone has known the BNSF Railway would not keep its aging system of ATSF searchlights on its famous Chicago to Los Angeles transcontinental highway. 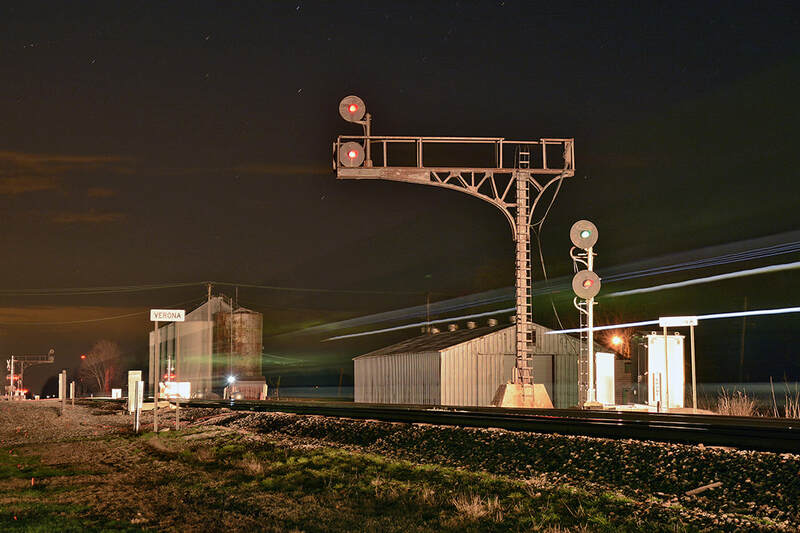 That said, I know personally I have found myself quite a home with the look at the ATSF searchlights along the Transcon and felt it as "just what the scene is". However fate has finally caught up with the historic signals and BNSF has finally made its move to swap them for modern equipment. Time has come for upgrades to continue signal-wise on the Chicago Sub. The Subdivision has seen upgrades in the form of P.T.C. 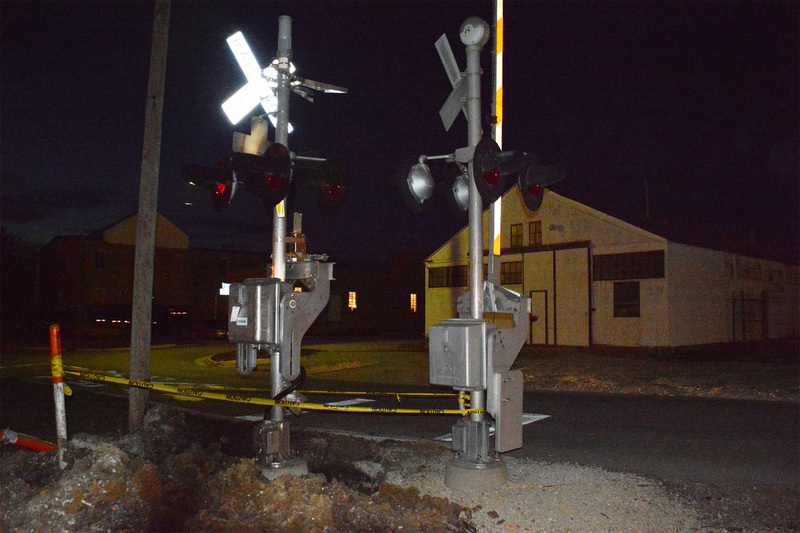 updates to new grading, track, and wayside signals. 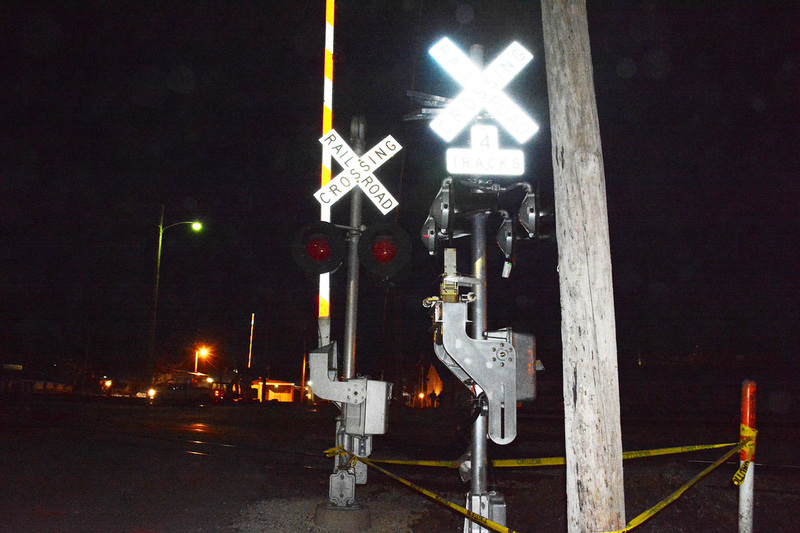 Now the attention seems to have shifted to grade crossing signals. The new equipment is pretty much the new version of what was previously installed. Older 1980s to 1990s Safetran equipment is being replaced with new Invensys/Simens equipment. (who owns Safetran currently). 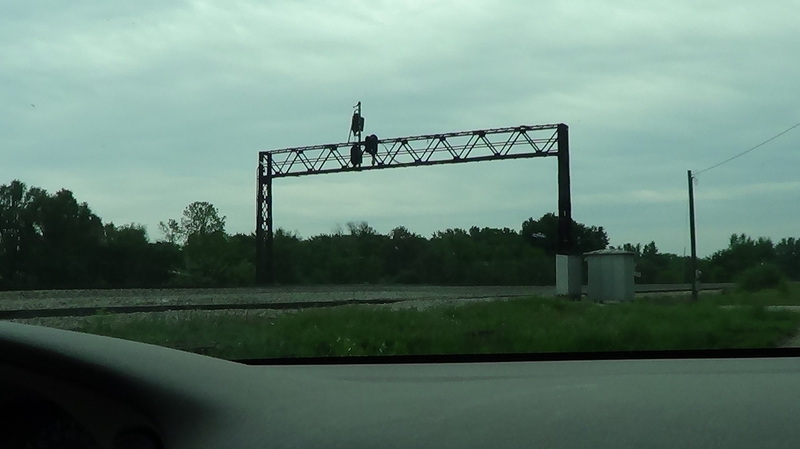 The new signals come with new PLC controllers. 2nd Street, the pictured street, is the first to get upgraded. 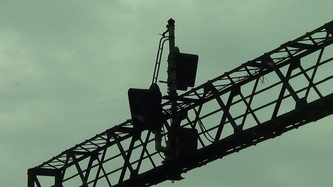 It will be manually activated by signalmen until it is completed. Canadian National Working on Grade Crossings & More on Chicago Sub! 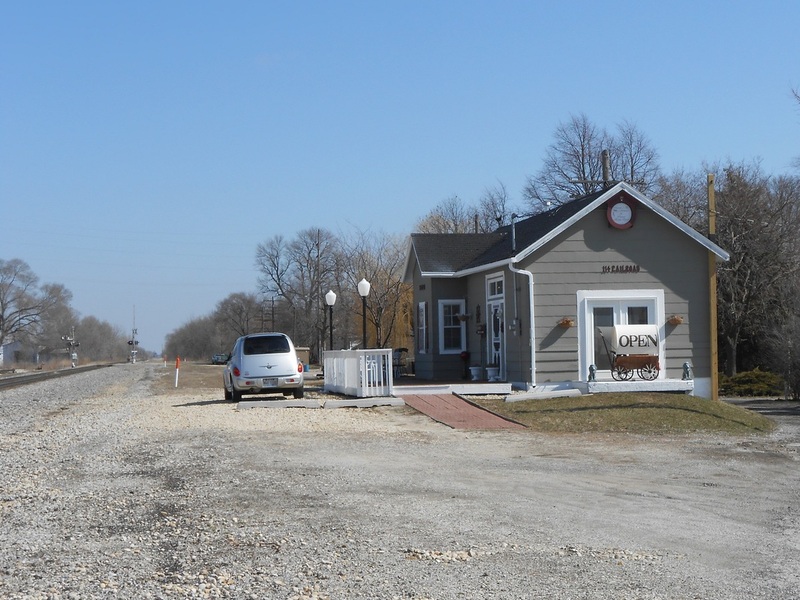 Adams St, the worst crossing in Manteno, is now fixed! 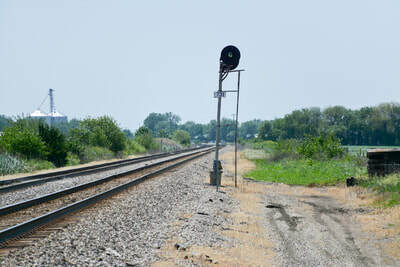 Plenty of people would and do argue that Canadian National has been ignoring the condition of the rails on the northern end of the Chicago Subdivision, but slowly that is changing. Recently the old IC line has been getting LED upgrades in its signals, new ballast, a freshly ground mainline, and new grade crossings! In a lot of places, this is long overdue. 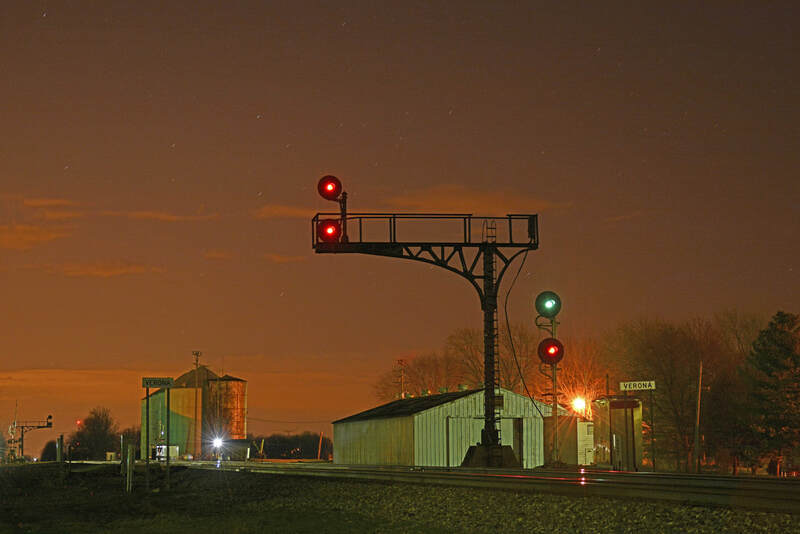 LED signals always haven't been a huge issue, but certainly help with daytime visibility. The grade crossings and track however have been getting bad for years it seems now and I can finally say they have been doing a good job. 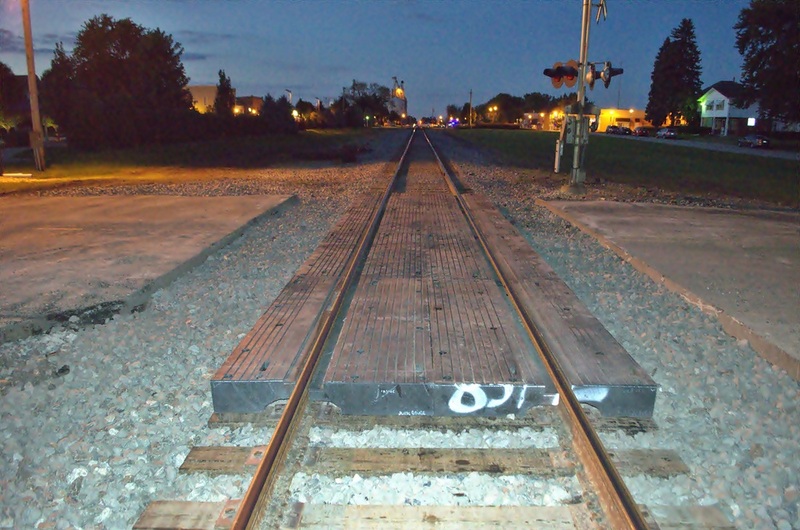 The new grade crossings are smooth as can be. Peotone, Illinois Depot Still Alive and Better Than Ever! Welcome to the newest Antique Store in Peotone. Oh yes, the depot is restored and refurbished. I'm sorry to tell you this isn't a work meant to bring back the old Illinois Central appearance but instead to bring back utility. 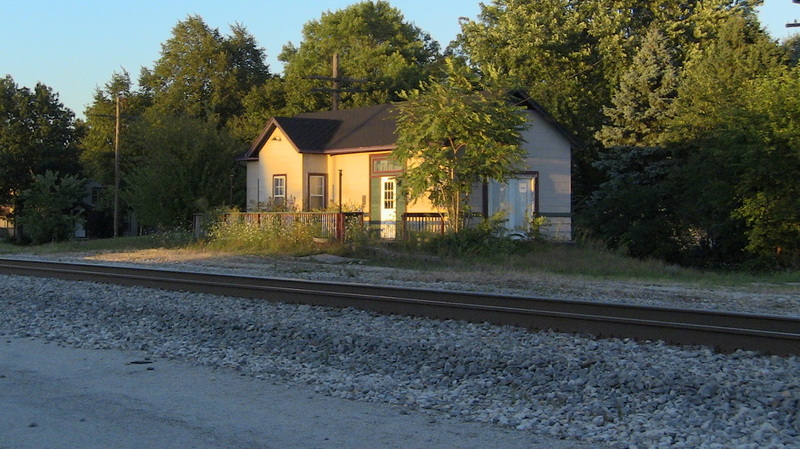 Once a stop for passengers, mail, and home to a telegraph office; Peotone, IL depot has long been out of commission and showing its age. Below is an image showing what the station looked like before these fine people took it upon themselves to make it a retirement project. That's right, an older couple have retired and settled down with an antique store fashioned from this depot. Although mostly big-ticket items, the inside of the depot is very much like a store, so don't expect to see a timetable standing up. 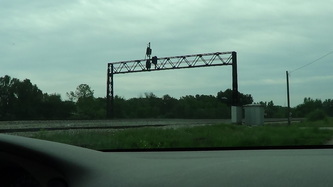 However, the new owner is an old car-man, retired after many years of work, and they chose the location to be able to sit on the patio watching trains and waiting for customers. So congratulations to them, and thanks to them that station no longer sores eyes but instead invites local business. 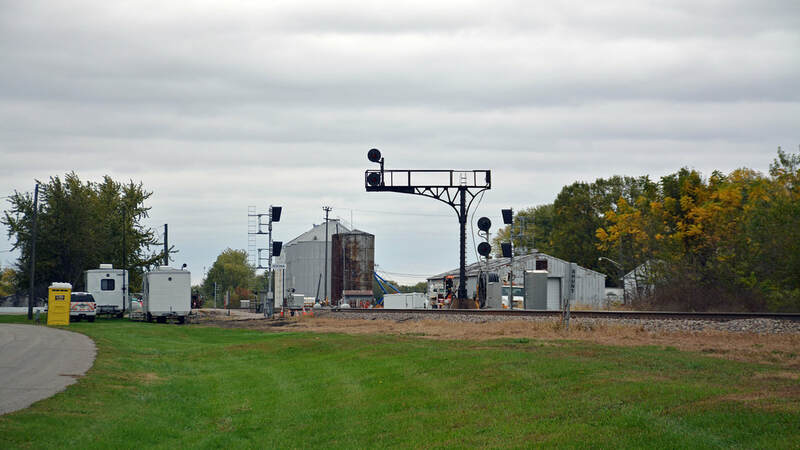 Back in Sept. of 2012, it looked like the Peotone station was doomed to become a relic of the forgotten past. Newly painted green relay cabinets in Manteno. 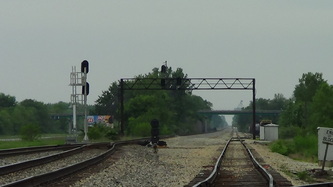 The Village of Manteno was given permission by the Canadian National railroad to be allowed to paint their Illinois Central-installed concrete grade crossing relay cabinets a variant of dark green. "Hunter Green", perhaps would be a good word for it. 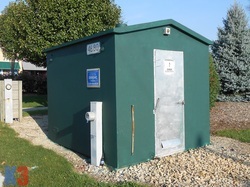 It was done to make the cabinets blend in more and stand out less, this was done just months (if not a year or so) after Manteno started to add more trees and down-town parks to make everything look nicer. The colors contrast with the brightly painted silver doors, and every crossing in the downtown area is affected. (Adams Street, Division Street, and 3rd Street) The small mast-mounted relay cabinet at the pedestrian crossing is unaffected however. 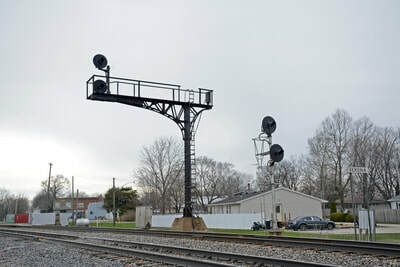 Signals in Otto, Illinois Upgraded! 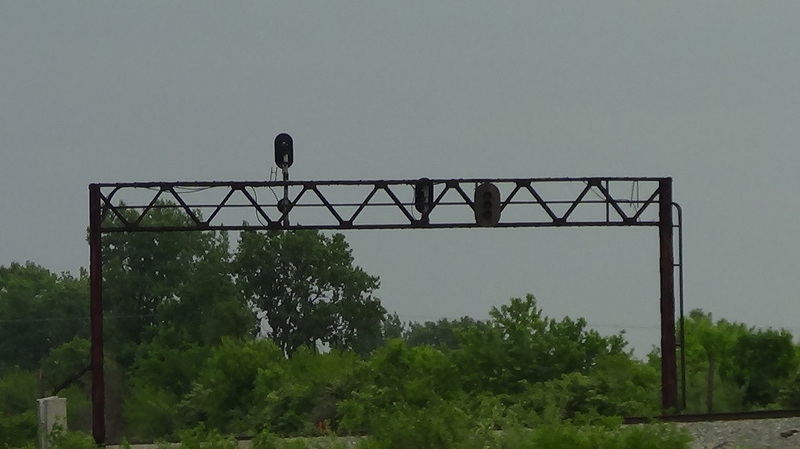 The old Illinois Central gantries have fallen here in Otto, Illinois. 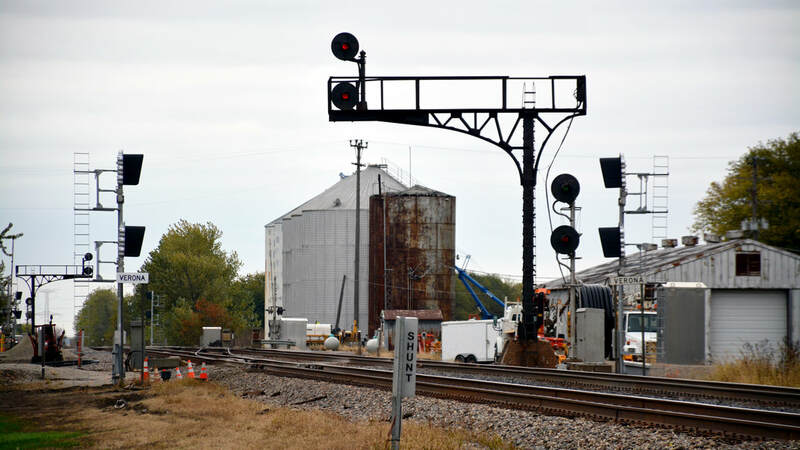 The signals have been torn down in the name of progress for new Positive Train Control (PTC) upgrades. The new signals are provided by Invensys by Safetran (owned by Siemens). 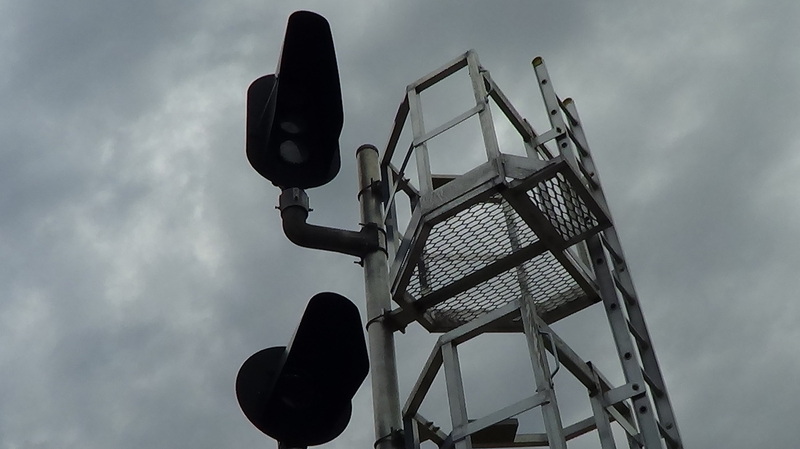 The signals lost are limited as one gantry already had new Safetran LED signal heads on it and the other had one side replaced. One old Union Switch and Signal (N)R head signal was removed when the two gantries were taken down. 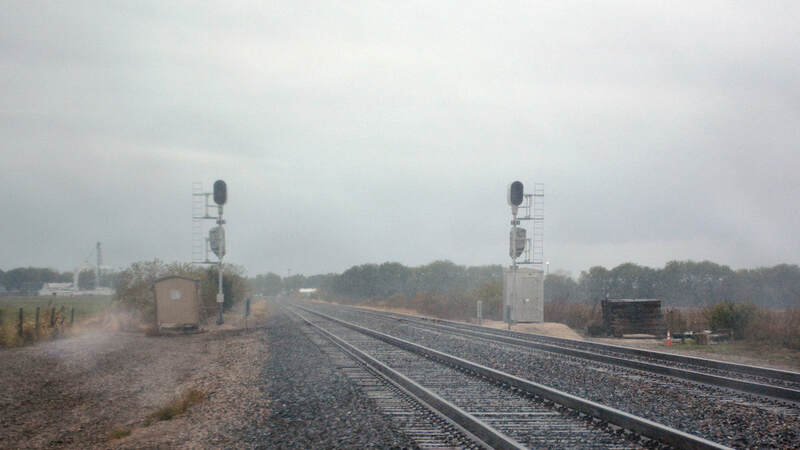 Also, brand new switch heaters, Generac Guardian Series models, are installed with new propane tanks and new US&S (owned by Alstom) switch machines to replace the General Railway Signal models. Some good news does hide, the old boarded up Illinois Central brick tower remains standing. Other signals lost are two Safetran mast signal and plausibly a US&S or GRS Tri-Light signal. Kankakee Vuclan Lehigh Quarry Conrail EMD GP10 to be Restored! 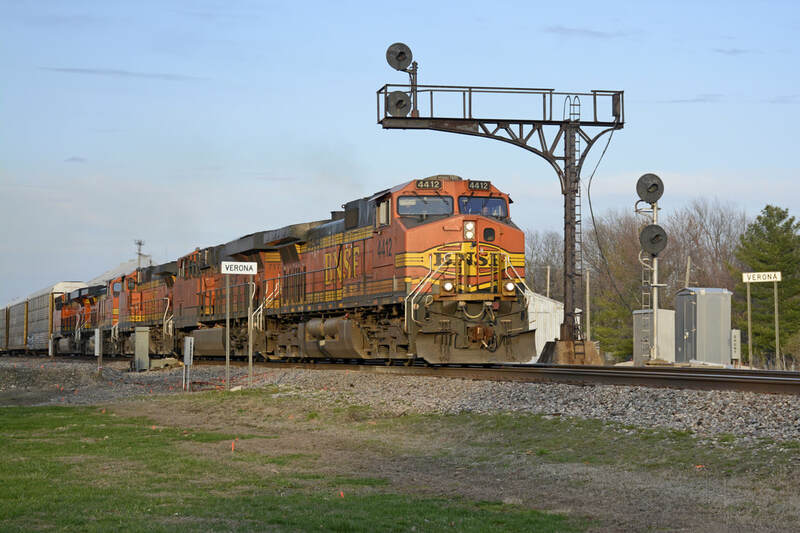 CLICK HERE TO READ MORE ABOUT THE FUTURE OF THIS LOCOMOTIVE! 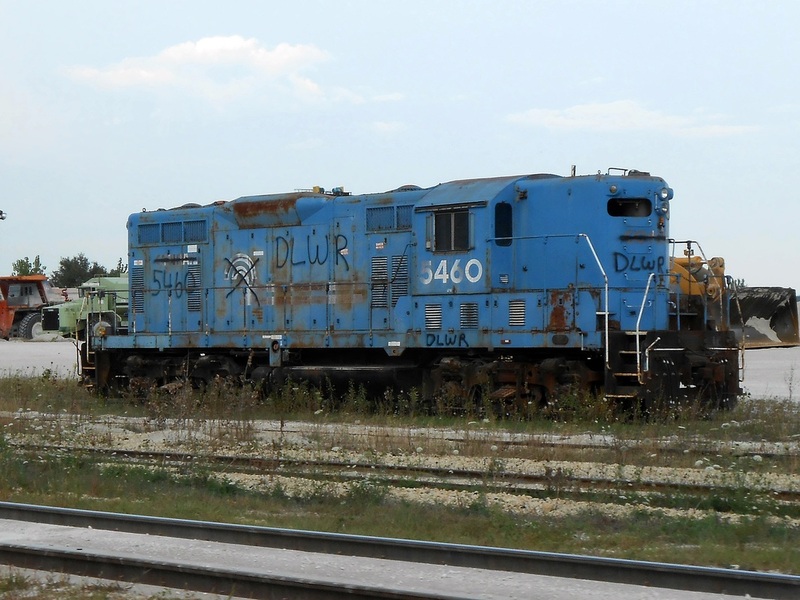 On September 7th, 2013 - the ex-Conrail 5460 is seen sitting at the Vulcan Lehigh Quarry just southwest of Kankakee, IL.